We spent couple of hours in the morning, trying to rent a car (had some issues with renting it from the airport the previous night) and we started out drive around 11 am. 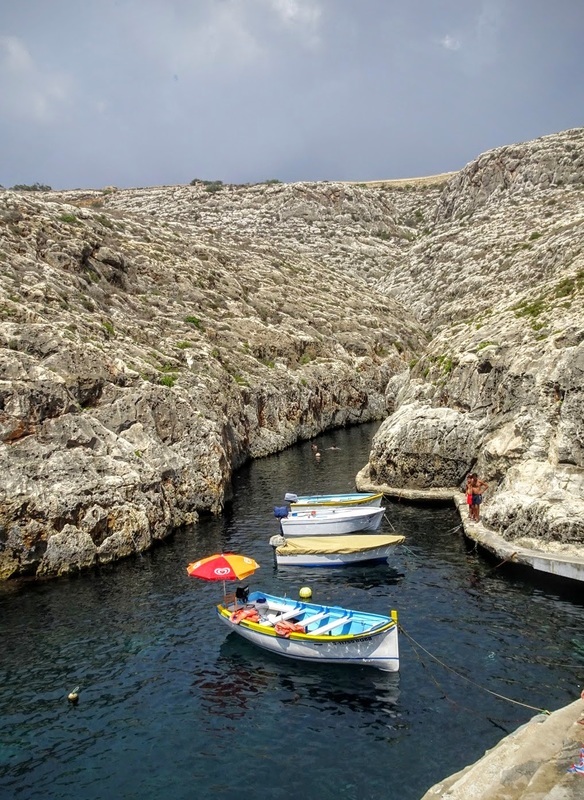 On our way to Hagar Qim, we saw signs leading to Blue Grotto, so we just detoured to go have a quick look, and this is what it was: a sea inlet with clear water to swim, boat and relax. 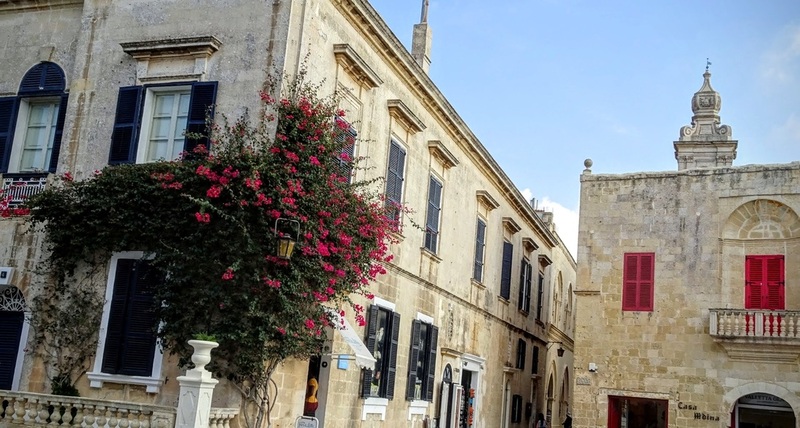 If you are into diving, there are diving trips to some shipwrecks and caves (blue grotto, hopefully) that depart from here. 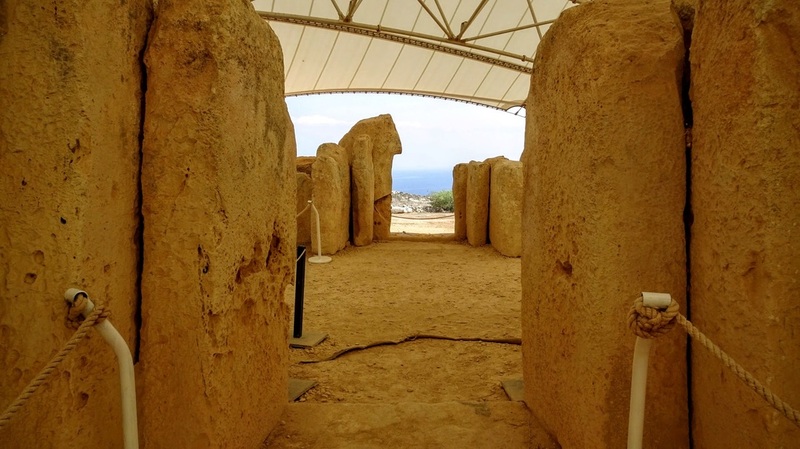 Ticket to both Hagar Qim and Mnajdra temples is 10 euro. They are both connected. And I would recommend getting the audio guide for an extra euro, and also spending 5-10 minutes to attend the 4D movie experience... very interesting. 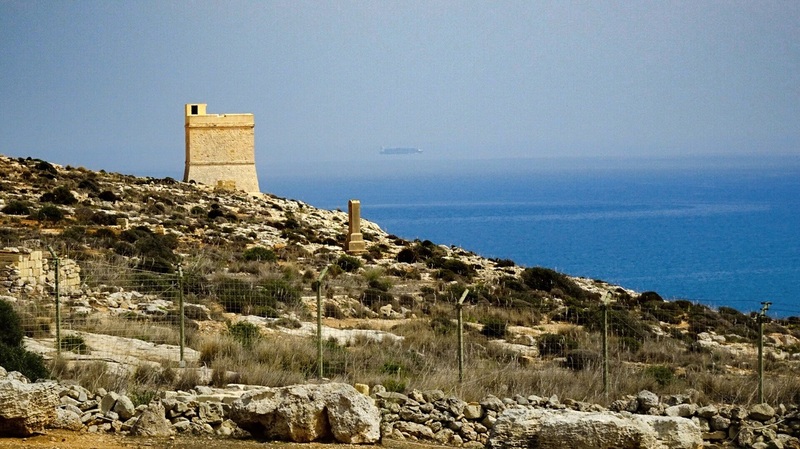 Tal-Ħamrija Coastal Tower -you will see this tower while walking from Hagar Qim to Mnajdra temples. 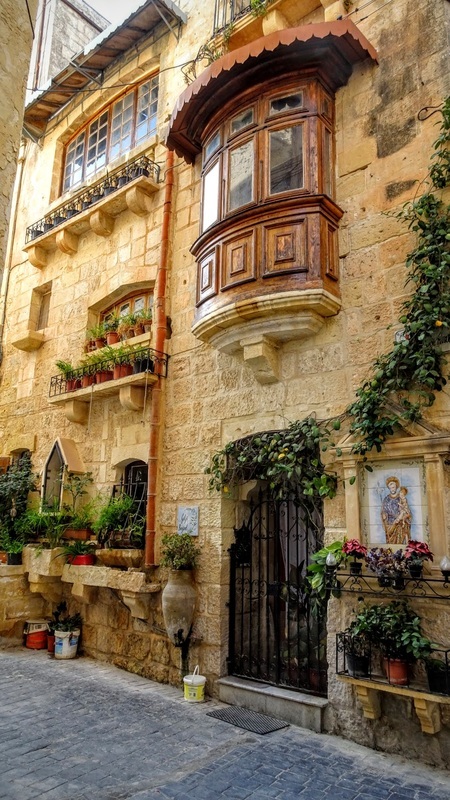 Lovely spot. 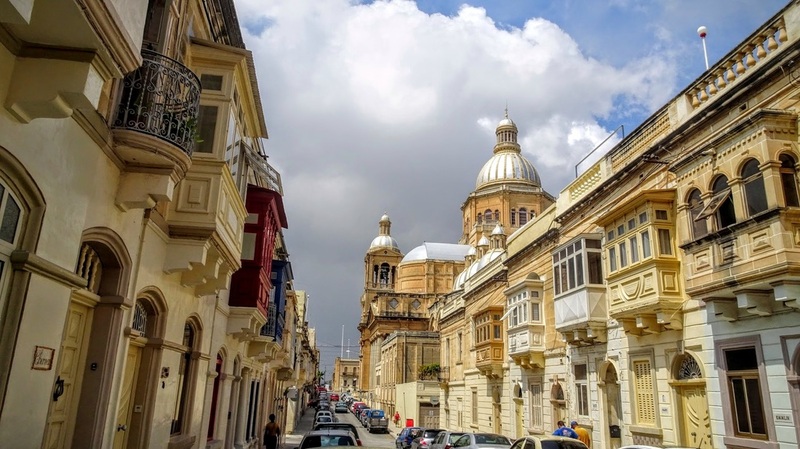 Then we reached our next stop - Rabat. 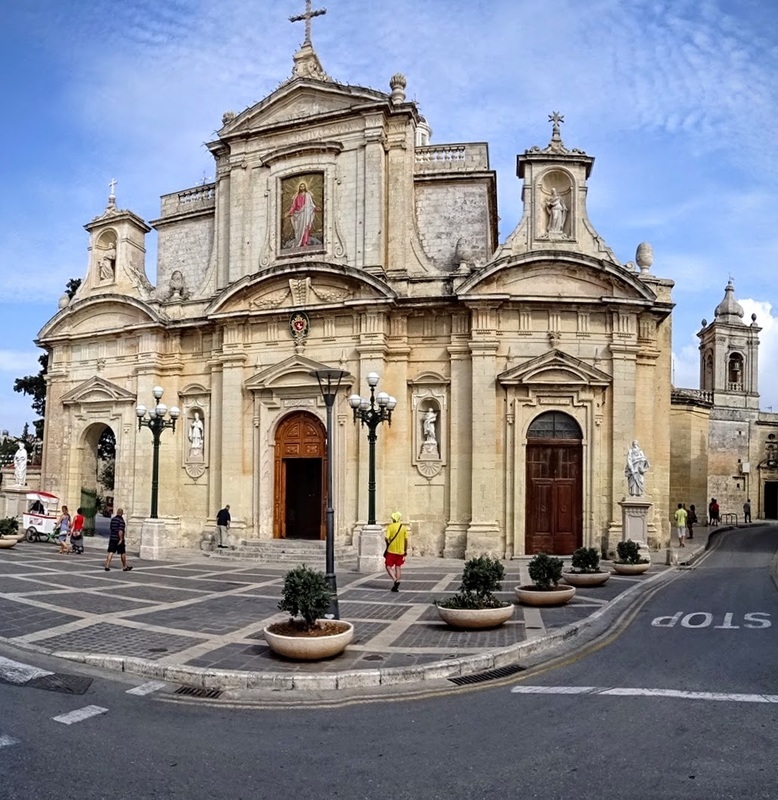 This the St. Paul's Parish church in the main square. 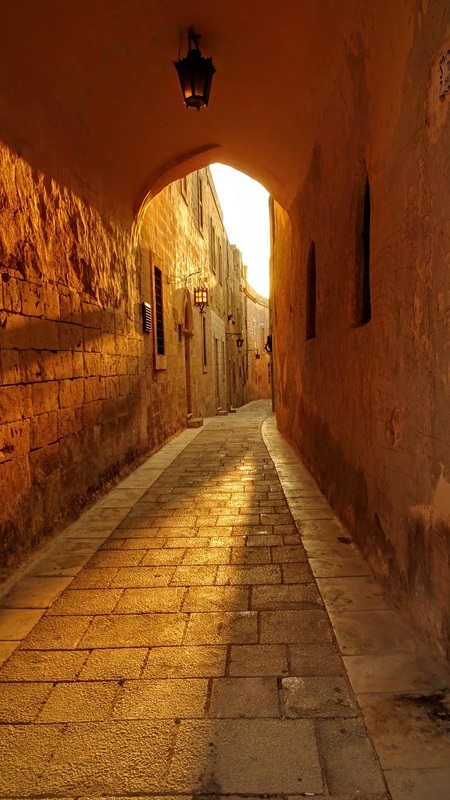 The name of the town is derived from the Arabic word for 'suburb': as it was the suburb of the old capital, Mdina. 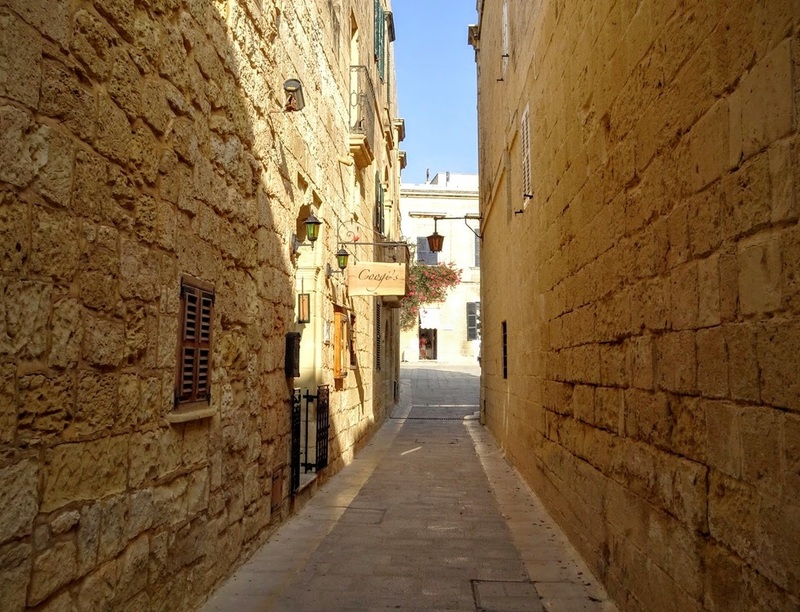 We left our car in Rabat and decided to walk from Rabat to Mdina. 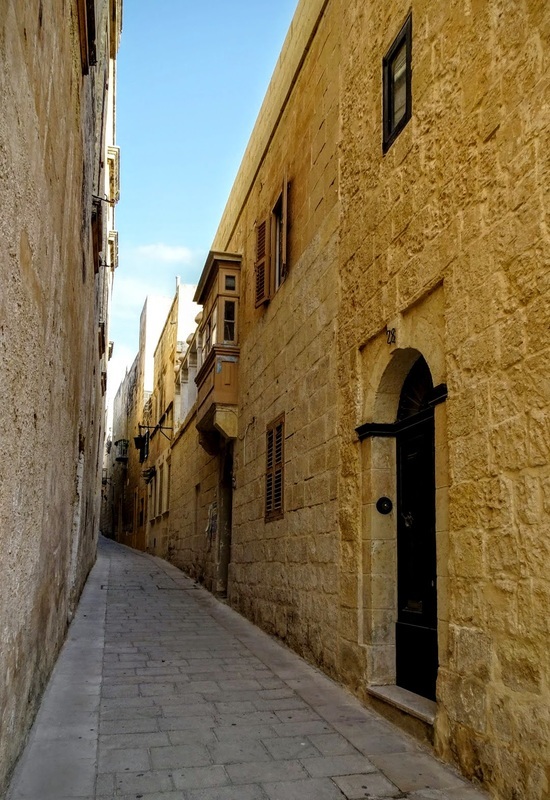 This allowed us to walk around the streets of Rabat, and distinctly make the difference between a suburb and the old town of Mdina. 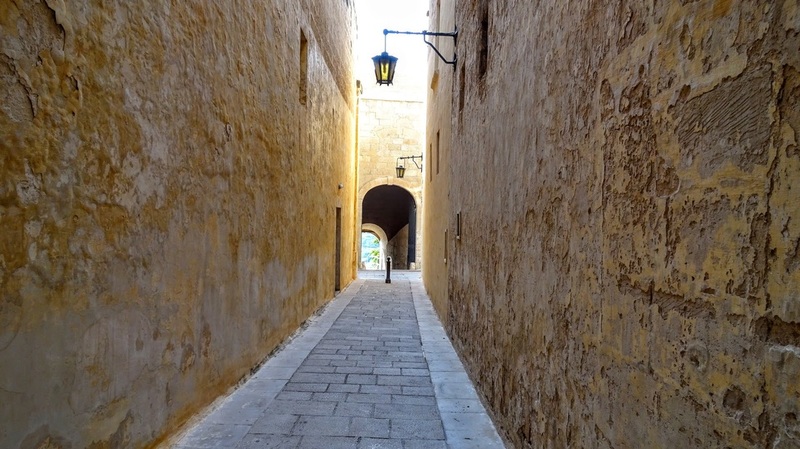 Rabat looked comparatively modern and new in its architecture and design, and wider (compared to Mdina where no cars are allowed to enter). 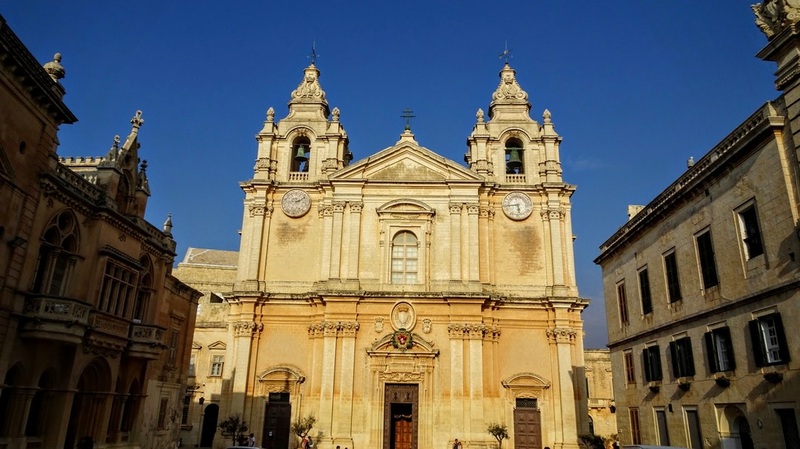 Here's the Mdina (or St. Paul's) cathedral. 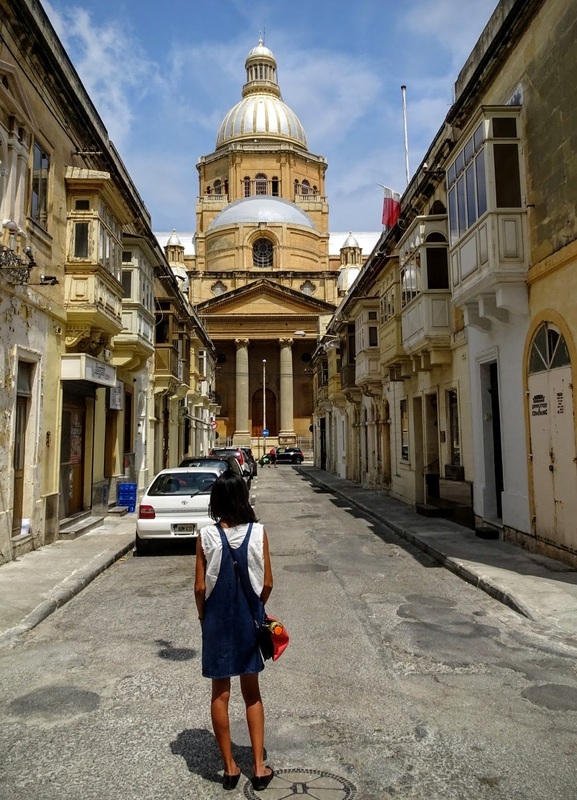 The entire city is built around the fortification of this cathedral, and you can see the dome standing out, when you see this fortified city from a distant highway. I seriously felt like I just took a time machine back to this place. 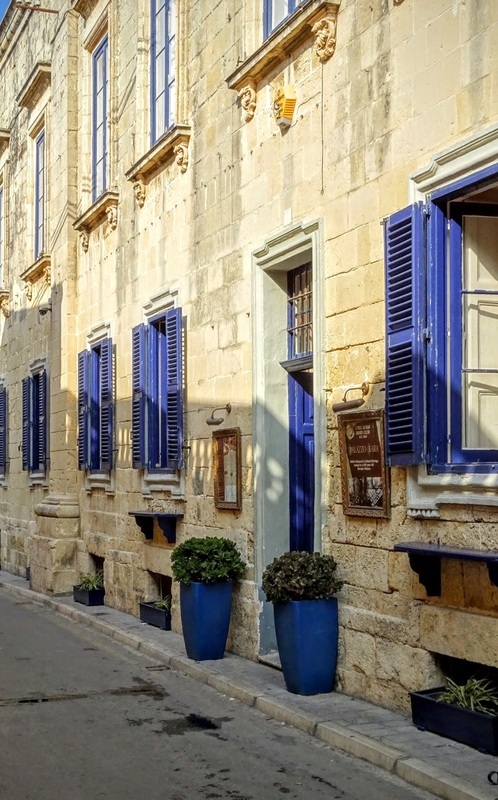 Every wall, every window seemed as if it stopped aging hundreds of years ago. 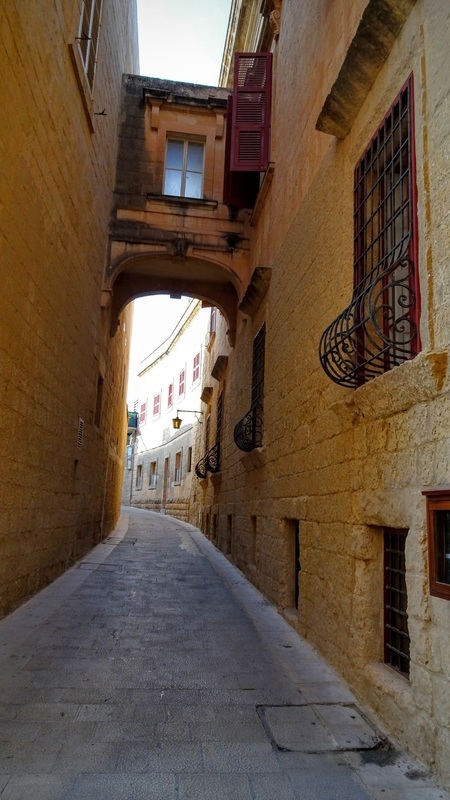 You can walk around the entire city of Mdina in an hour (its small), so if you walk carefully, you will come across all these lovely alleys - cant miss them! 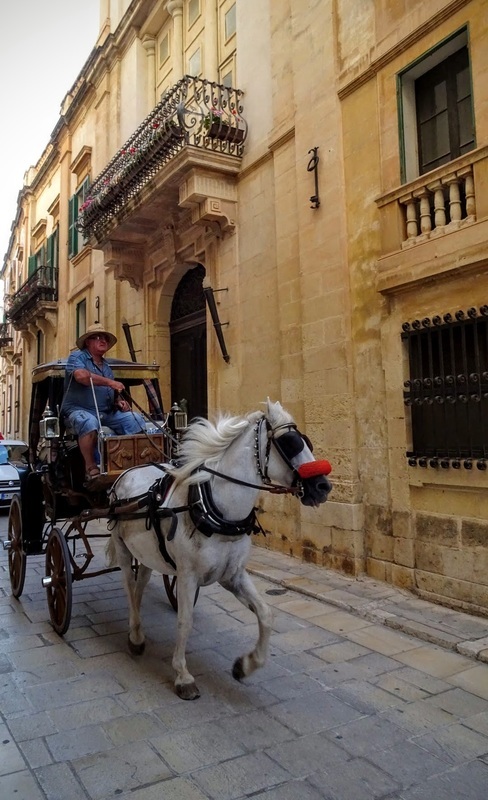 And of course, no old town can be complete without horse carriages, right! 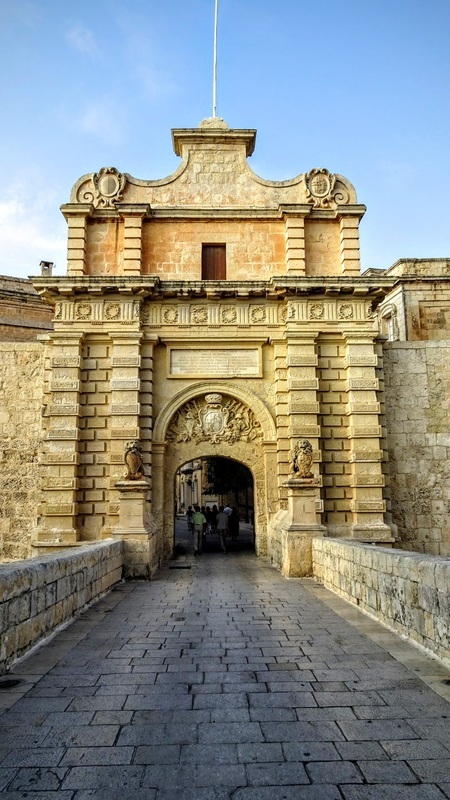 This is the main Mdina gate. If want to ride a horse carriage this is where you get it from. They were asking us for 20 euros for a tour of the city, but I am sure you can haggle. 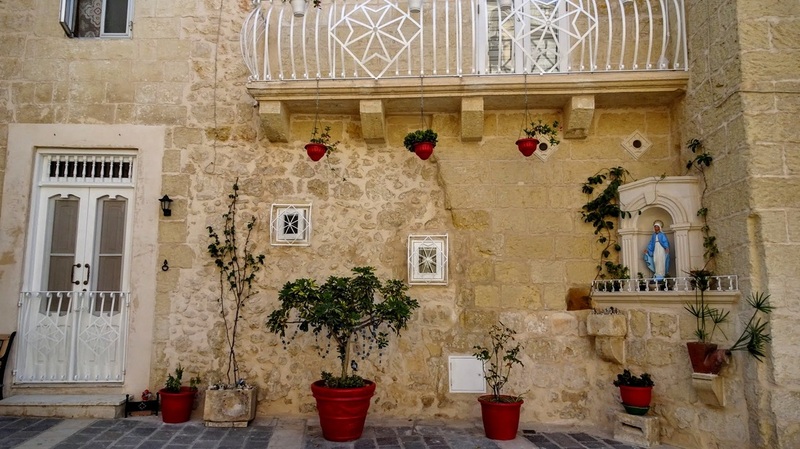 Mdina is known for its 'tea gardens' - roof top view retaurants very well decorated with flora and fauna, and give a nice panaromic view to the area surrounding the city of Mdina. 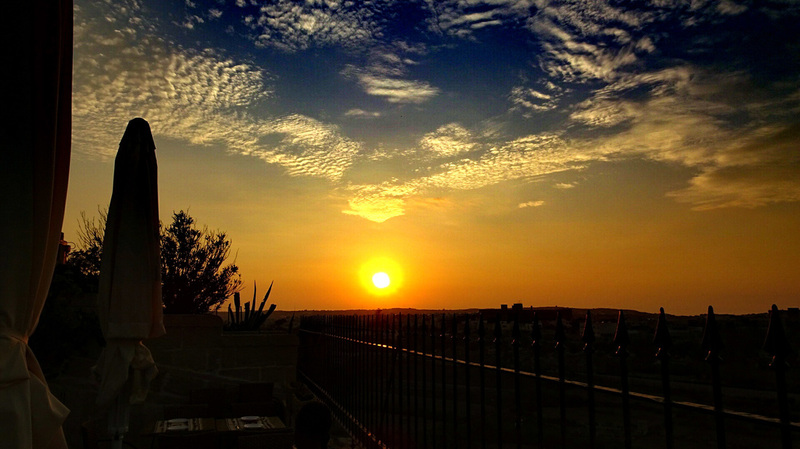 We had a table reserved in the Cooge's tea garden for sunset and dinner. 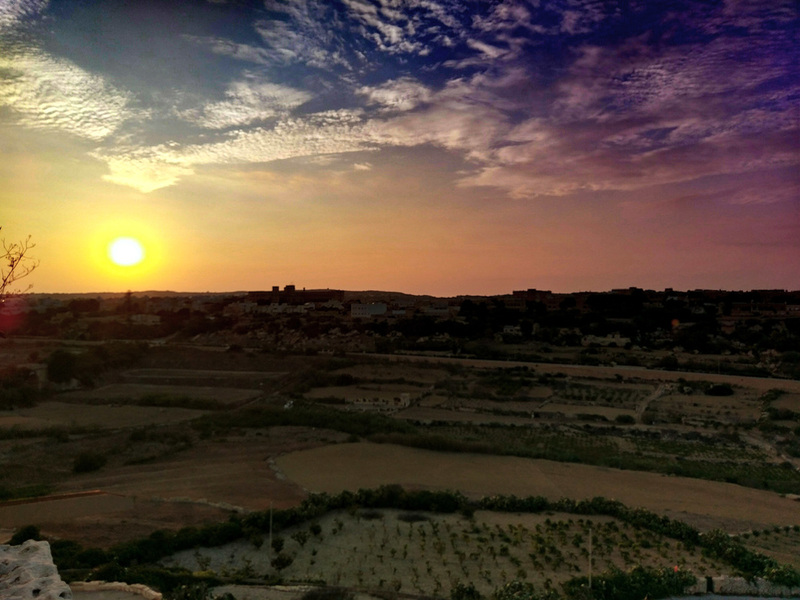 Sun setting behind the region surrounding the city of Mdina. 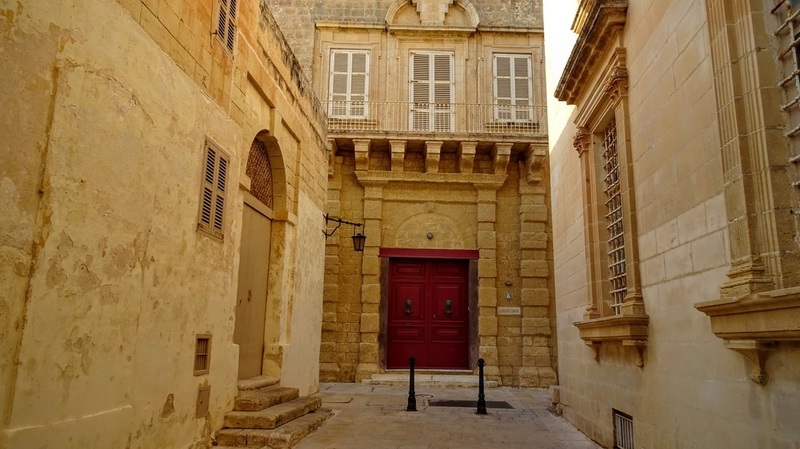 I really enjoyed my chilled pint of Cisk (local beer) and delicious Maltese rabbit stew. Since I LOVE sunsets, one more to end the day. 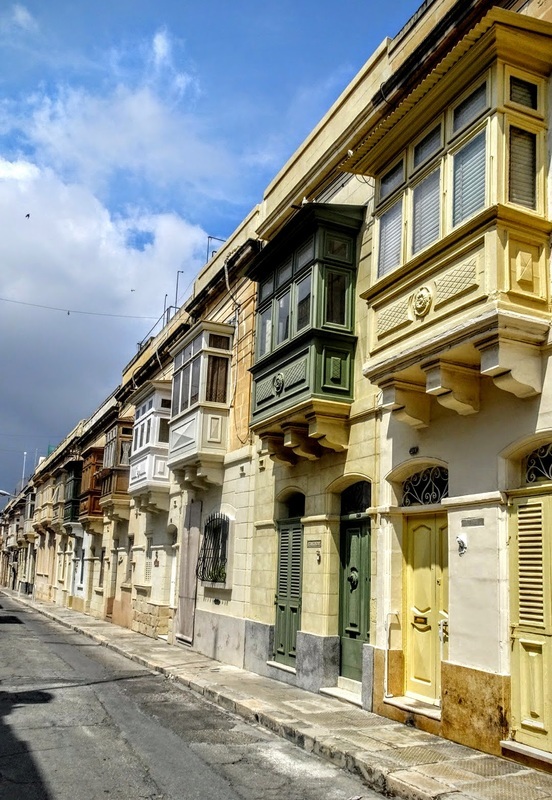 We spent the rest of the evening here, before heading back to our hostel in Sliema, where we hung around the neighborhood for a while before heading to bed.